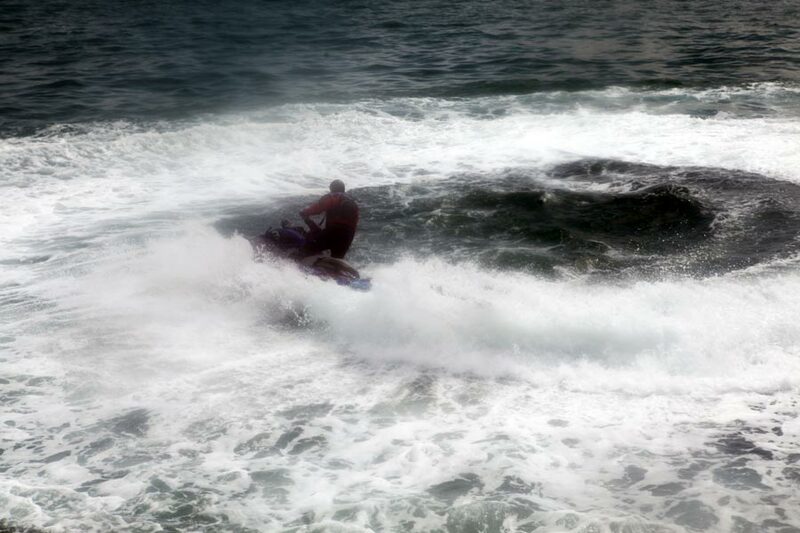 Jet Ski Coasteering involves a combination of wild swimming, sluice rides, rock climbing, caving, rock jumps and a Jet Ski ride. 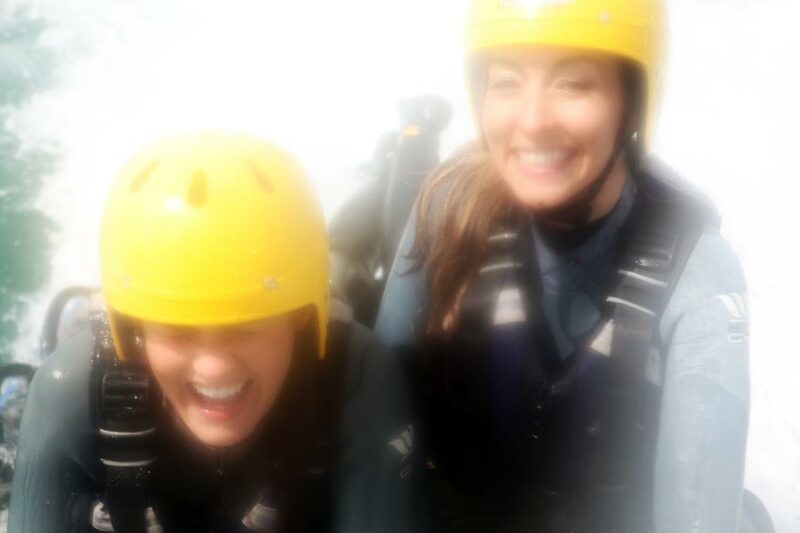 All of this is rolled into the most action packed adrenaline buzzing outward-bound experience. 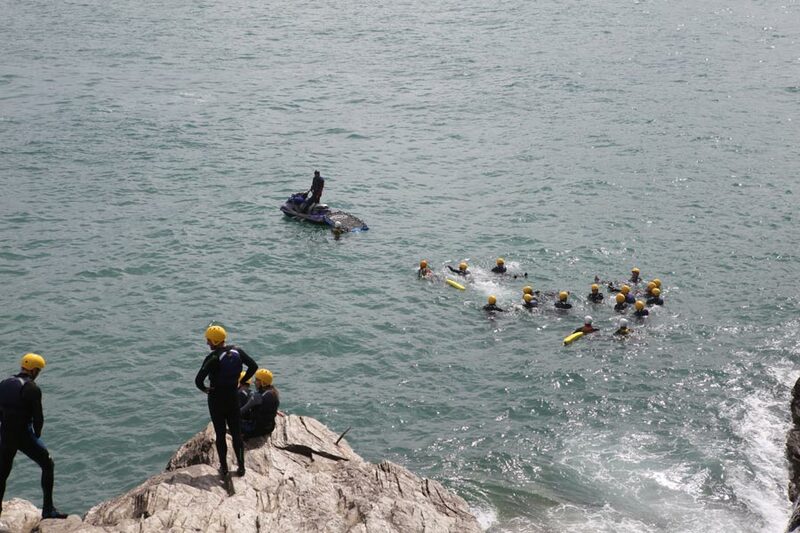 As part of your Jet Ski Coasteering session, you will be asked to group into pairs. 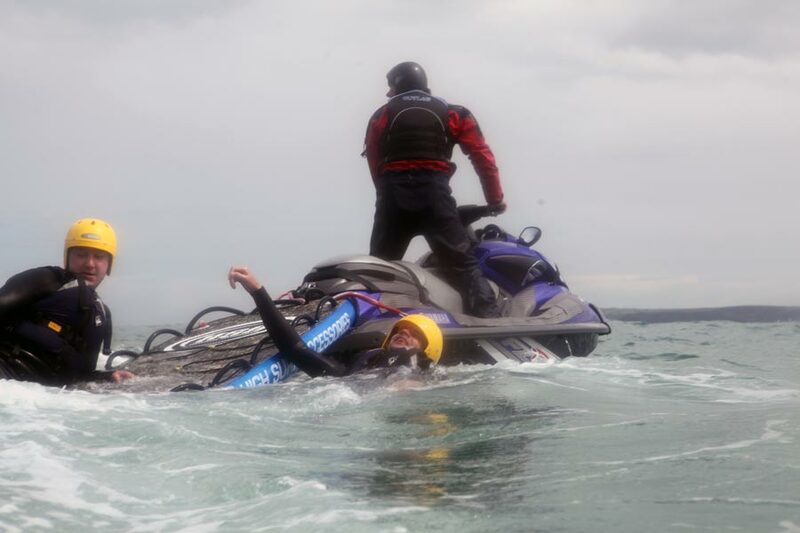 You will then be led by one of our Coasteer leaders into open water to be picked up by our Hawaiian surf rescue sled and taught how to hold on to it safely as a pair. 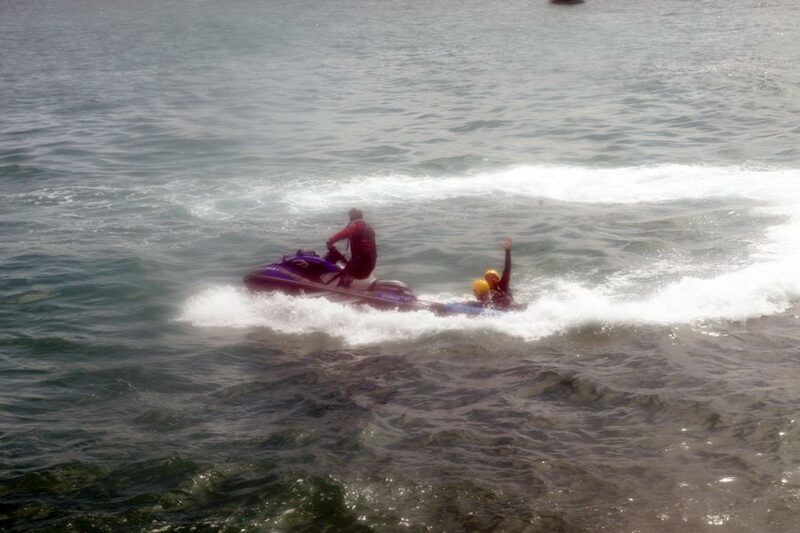 You are then pulled by a Yamaha Wave Runner Jet Ski for a 10 minute exhilarating ride to the next point on the Coasteer route. The ride you will experience is an amazing adrenaline rush due to the ski’s awesome acceleration of 0 to 30 mph in less than 1.5 seconds ! 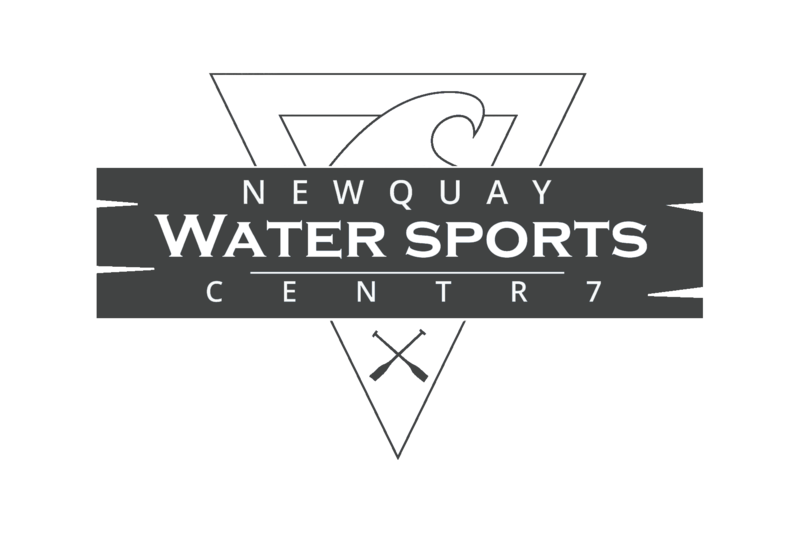 You will be taken at different times for your Jet Ski experience, so you simply re-join the group at a point further along the coasteering course. The tours are also timed to ensure that you won’t miss out on any of the big jumps or highlights of the Coasteer route. The ride you choose will be tailored to suit your individual preferences, you might prefer big wake turns, spins, carving rail slides, doughnuts and riding large swell lines. 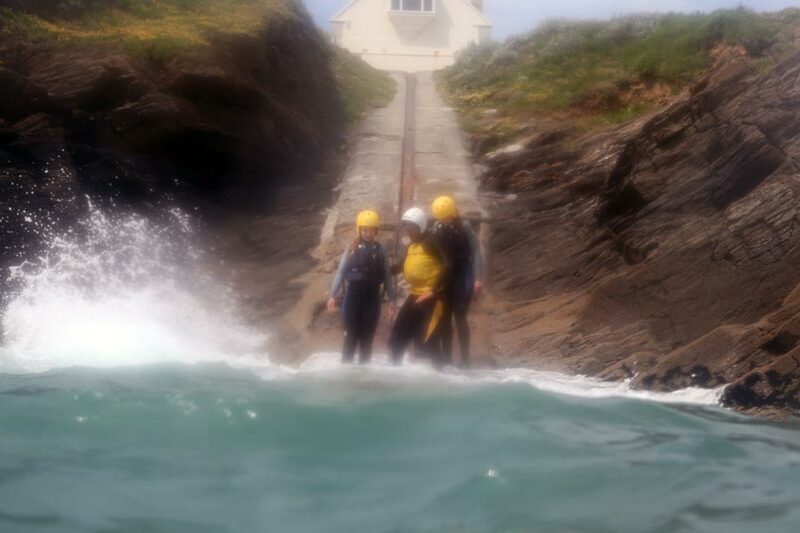 Or you might want to include a visit to the Cribbar big wave surfing reef off Towan Head, or a trip out to inaccessible coves which are the homes to the local seal population. 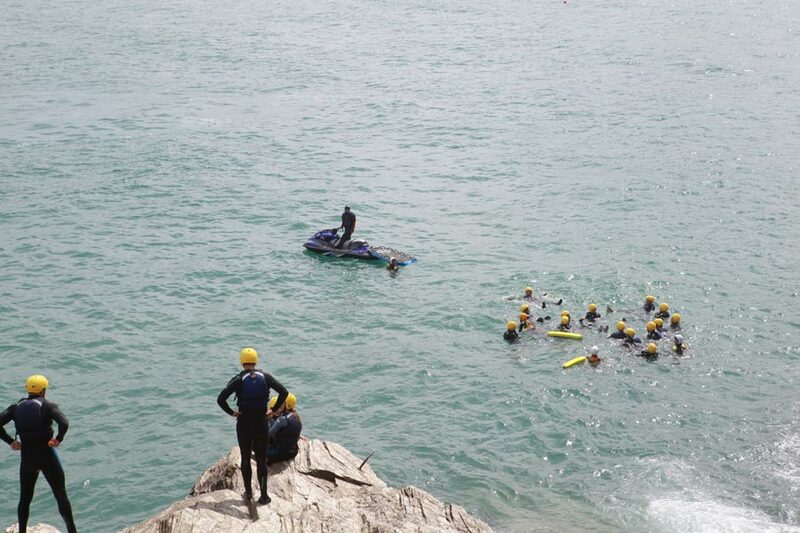 Here we offer two extreme pursuits in one activity, combining endurance excitement and action, mixed with high adrenaline rushes plus the added visual experience of being surrounded by the vastness of the Atlantic Ocean and some of the most amazing coastal scenery you will see in Britain. 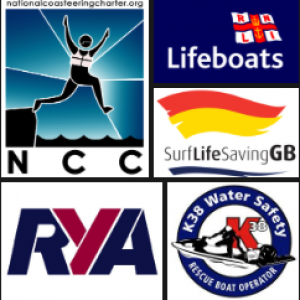 Please do not be put off as this activity will always be tailored to individual needs and we can work on a level of ability to suit everyone. If you have any enquiries or wish to book get in touch and we will ensure you will be taking an adventure of a lifetime. 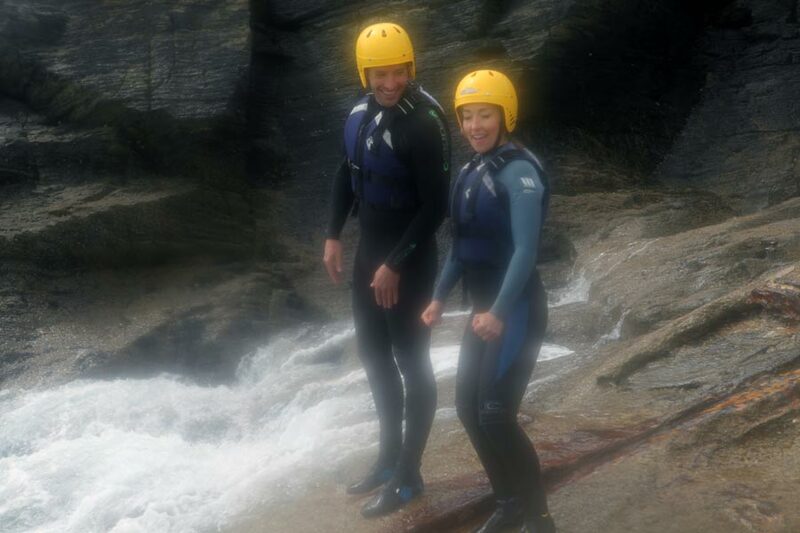 Coasteering trip with Jet Ski Board Blast during trip with all equipment and instructors included.